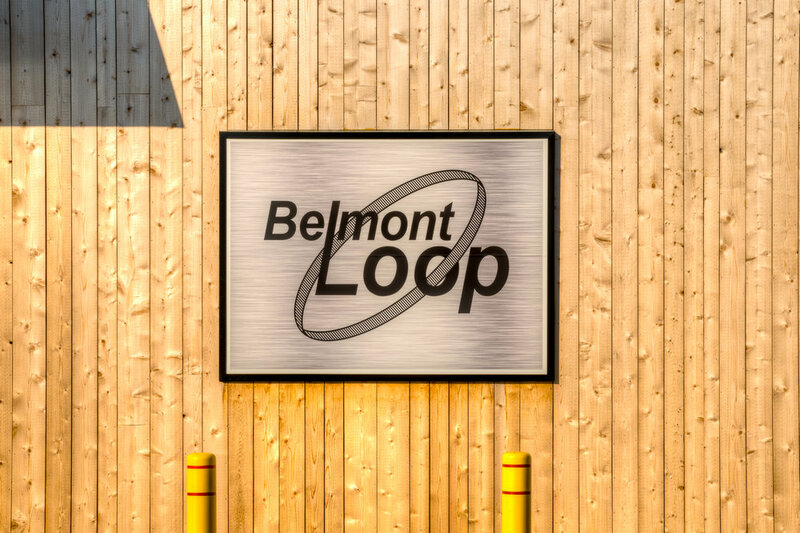 Belmont Loop — Brittell Architecture, Inc. This highway-oriented commercial development is located in a rapidly growing area of Woodland. 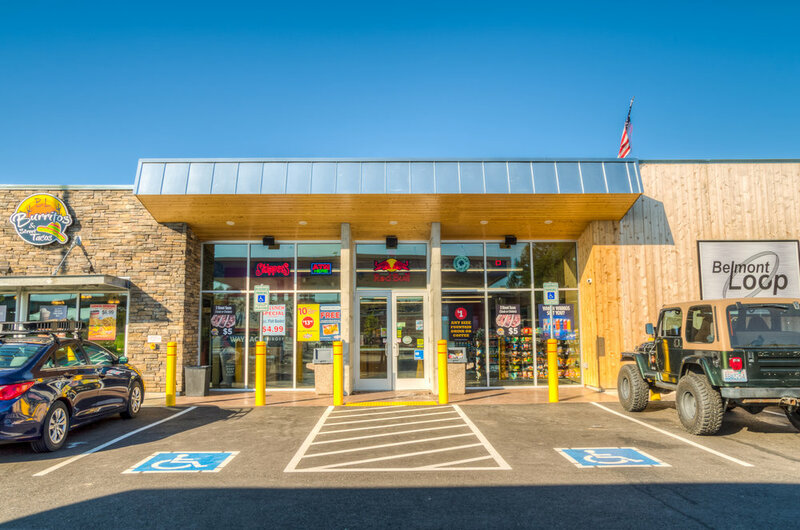 The owner/developer sought our services to update a previous master plan and design the first phase of the development, which included included a gas station and convenience store with a restaurant and deli. 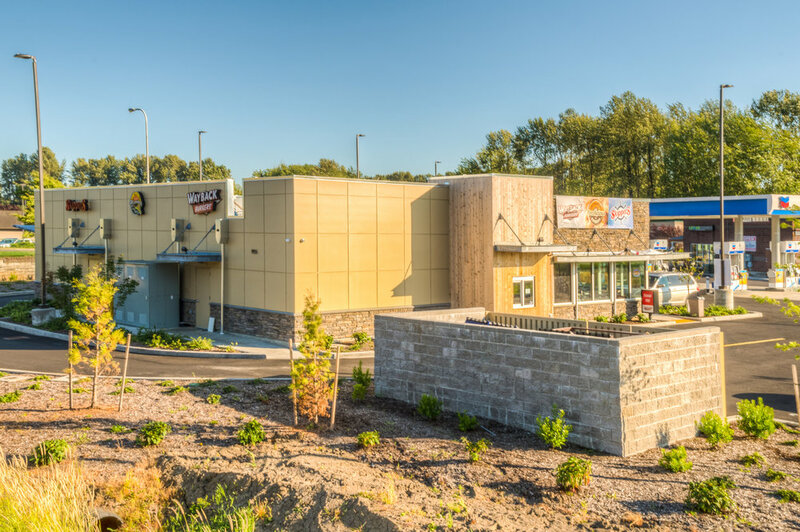 The exterior facade highlights the fabric of the Pacific Northwest with a materials pallet that includes a mix of cedar siding, stone, and exposed concrete. 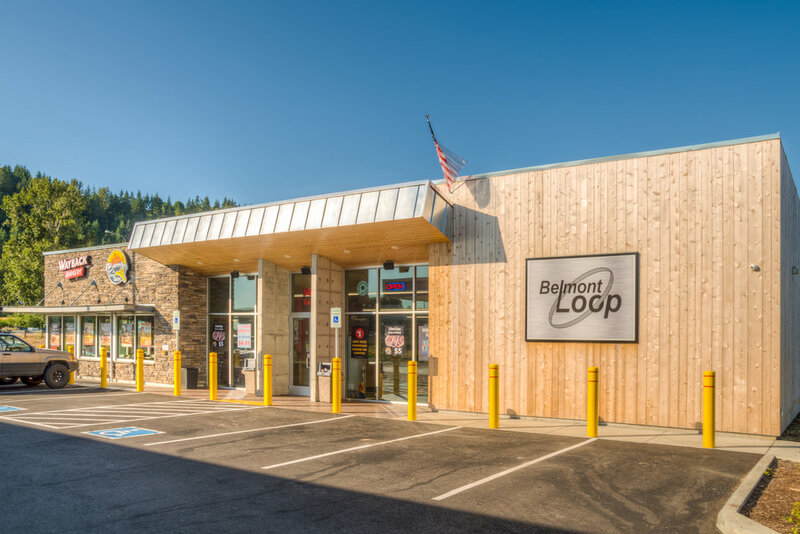 A curving roof structure peels away at the entry, drawing customers inside and allowing a generous amount of light to enter the store.